Start with your arms by your side, feet shoulder width apart, head up, and back straight. 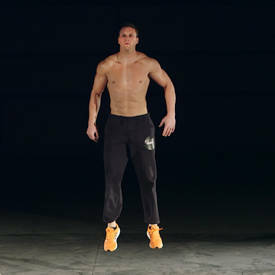 Now pressing mainly with the balls of your feet, jump straight up in the air as high as possible, using the thighs like springs. Exhale during this portion of the movement.